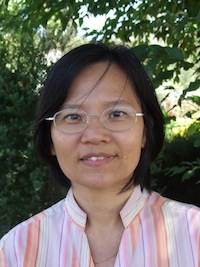 Dr. Bing H. NGU teaches both undergraduate and postgraduate pre-service Mathematics Education units. Her research interests and expertise include cognition and instruction-based on cognitive load theory, analogical learning, effective and ineffective instructional designs for mathematics learning, and human optimisation. A number of her articles, published in high impact journals, have included complex methodological designs to develop contrasting instructional approaches to improve mathematics learning. Ngu, B. H., & Phan, H. P. (2018). Achievement Bests framework, cognitive load theory, and equation solving. In O. B. Cavero (Ed. ), New pedagogical challenges in the 21st Century (pp. 287-306). Rijeka, Croatia: InTech Open Science| Open Minds. Ngu, B. H., & Phan, H. P. (2017). Solving linear equations: Will this post a challenge to elementary pre-service teachers? In K. Patterson (Ed. ), Focus on mathematics education research (pp. 117-148). New York, NY: Nova Science Publishers, Inc.
Hine, G., Reaburn, R., Anderson, J., Carmichael, C., Galligan, L., Cavanagh, M., Ngu, B. H., & White, B. (2016). Teaching secondary mathematics (pp. 213-247): Port Melbourne, Cambridge University Press. Kadir, M. S., Ngu, B. H., & Yeung, A. S. (2015). Element interactivity in secondary school mathematics and science education. In R. V. Nata (Ed. ), Progress in education (Vol. 34, pp. 71-98). New York, NY: Nova Science. Invitation. Ngu, B. H., & Phan, H. P. (2016). Unpacking the complexity of linear equations from a cognitive load theory perspective. Educational Psychology Review, 28, 95-118. doi: 10.1007/s10648-015-9298-2.